Some widows of the slain anti-apartheid activists known as the Cradock Four have described the official opening of a garden of remembrance for their loved ones as a bitter-sweet moment for their families. Tourism Minister Derek Hanekom officially opened the Cradock Four Heritage Garden of Remembrance in Cradock in the Eastern Cape on Thursday. 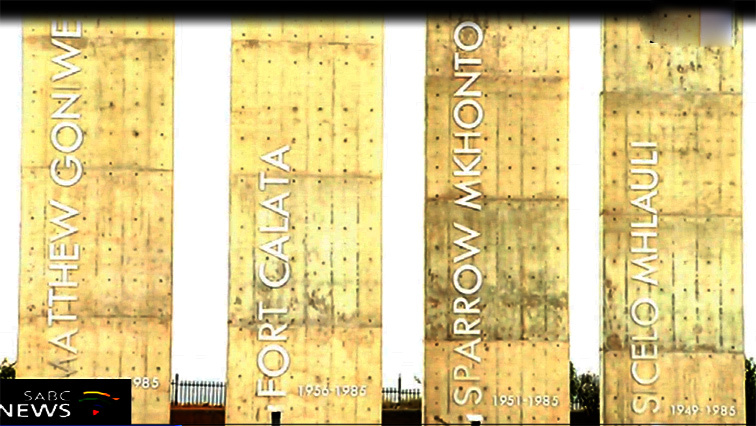 It was opened on Human Rights Day in honour of Matthew Goniwe, Fort Calata, Sparrow Mkhonto and Sicelo Mhlauli. They were killed by apartheid secret police near Bluewater Bay, in Port Elizabeth, after attending a meeting. The widows of Goniwe and Mhlauli, Nyameka Goniwe and Nolitha Mhlauli, say they have mixed emotions. “It is long overdue, this site has been standing empty for so many years, and we even thought it would never be realised. It is a dream realised instead of being deferred for so many years. We are excited about it not only because it is opening today (Thursday) but what it could be for the community,” says Goniwe. Hanekom says the site will serve as a heritage site and a tourist attraction in the small town of Cradock. The post Garden of Remembrance for Cradock Four officially opened appeared first on SABC News – Breaking news, special reports, world, business, sport coverage of all South African current events. Africa's news leader..